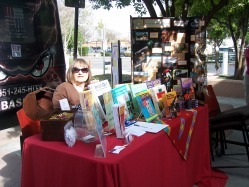 The Book-a-Palooza at the Corona Public Library was great fun! Here I am at my table. 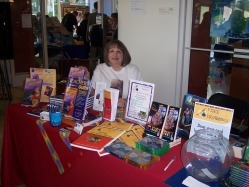 Here I am at my table at the Orange County Reading Association annual meeting at Chapman University in Orange, California. 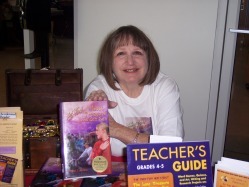 I love selling and autographing copies of The Lost Treasure of the Golden Sun and its accompanying teacher's guide.